Provost Bill Katip says increased enrollment should help offset any revenue loss from students completing their degrees in a shorter period. An Indiana college is taking a proactive approach to deal with the rising cost of higher education. 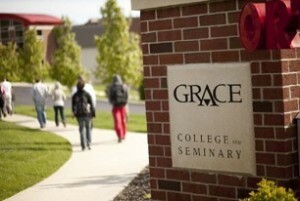 Grace College in Winona Lake is launching an accelerated degree program this fall. Students who maintain a at least a 3.0 grade point average will have the option of graduating with a Bachelor’s degree in three years and a Master’s degree in four. Provost Bill Katip says the program has helped enrollment grow this year by more than 20 percent.